Immigration reform is an excellent example of a political controversy on which faithful Christians legitimately disagree. Both the New York Times and the Washington Post have recently run stories drawing attention to increasing Evangelical support for immigration reform. Some of the most significant Evangelical organizations associated in the past with the strident conservatism of the Christian Right – including the National Association of Evangelicals (NAE), Focus on the Family, and the Southern Baptist Convention’s Ethics and Religious Liberty Commission (ERLC) – have thrown their weight behind the cause. At the same time, among the broader Evangelical population there is still significant hostility towards immigration reform; according to the Washington Post, it remains the demographic most opposed to what many conservatives regard simply as amnesty. Conservatives expect people to work hard, act responsibly, and obey the law. They worry a lot about the growing demographic of Americans who don’t seem to share their understanding of what it means to be an American, and the idea that someone would enter this country illegally and then expect the same public benefits as anyone else flies in the face of that fear. It’s not that they are opposed to immigration, as they will tell you. They just think it should be done legally. You can’t give amnesty to someone who has broken the law or you will simply encourage her or him to do it again. That said, in his defense of immigration reform Tea Party Senator Marco Rubio rightly reminds such critics that when we talk about enforcing the law and about deportation we are talking not primarily about criminals but about people. In many cases we are talking about children and young people who have been born and grown up in this country but whose parents immigrated illegally. We are talking about married couples, perhaps a woman who has entered the country illegally but whose husband is an American. Though in many cases the human cost of deportation is not very significant, in other cases we are contemplating breaking up families, arresting people, and forcibly deporting them, whatever the moral and personal cost may be. Again, I understand that this is an issue on which Christians legitimately disagree. I would not want my church taking a defined position on immigration legislation, which is why I take issue with what the NAE and ERLC (though not so much Focus on the Family) are doing. How do you balance the integrity of the law against empathy, retributive justice against restorative justice, the common good against the well-being of individuals, a person’s identity in terms of citizenship against her calling as a wife and mother? The church should lay out biblical principles that policymakers must keep in mind (i.e., don’t split up families), but it hardly has divine authority to promote particular legislation. I personally believe immigration reform is an urgent necessity of our time. I expect many of you to disagree, and that’s fine; I may well be wrong. That said, I do want to comment on the irony of American conservatives – that segment of the population most likely to take the history of nations, cultures, and institutions seriously – calling for such a hardline against illegal Mexican immigrants. My point is not to question the wisdom, virtue, and hard work on which American prosperity is built. Conservatives rightly point out that we can’t turn back the clock and make these wrongs right. As with the case of reparations to former slaves, it is far better to move on and move forward than to continually haggle over the sins of the past. Clemency is just as important a political virtue as is justice. But then why do so many view illegal immigration so differently? To be sure, there are approximately 15 million people who are currently living in this country illegally. They have broken the law. And yet they now play a vital role in the American economy, performing hard work that many other Americans are not willing to do, contributing far more to this country than they take from it. They believe in the American dream, the same American dream that motivated our own ancestors. Finding a way for these people to work through a process – a process that involves penalties and a significant amount of waiting time – that would enable them to hold their families together, work towards prosperity, and become legal residents hardly seems like an outlandish proposal, let alone one that would destroy the integrity of the law. To be sure, it would have to be accompanied by stricter border enforcement. But it is unlikely that, even were the present immigration reform to amount in an “amnesty” like that of the 1980s, we would find ourselves in the same mess in 20 years that we are in today. An improving economy and rapidly falling birth rates south of the border mean that there are far fewer Mexicans interested in entering the United States than was once the case. In any case, it’s good to see Evangelicals increasingly seeing both sides of this difficult issue. Enforcing the law at all costs, as Les Miserables has recently reminded us, is not the same thing as justice. We’ll see what happens. There is a lot of talk out there right now about the Republican failure to attract Latino voters, who voted for President Obama by a whopping 71-27 ratio in the 2012 presidential election. Although whites made up 56% of Obama’s coalition only 39% of them voted for the president, the smallest percentage in the history of any major American political party. Pundits are quickly turning to immigration to explain the Republicans’ Latino problem and to offer a possible cure, but the reality is that the rot cuts much deeper. The GOP doesn’t have a problem with Latino voters per se. Rather, it has a problem with a broad spectrum of voters who simply don’t feel that it’s speaking to their economic concerns. The GOP has an economic agenda tilted strongly to the benefit of elites, and it has preserved support for that agenda—even though it disserves the majority of GOP voters—with implicit racial politics. Now you can disagree with Yglesias’s judgment in that last sentence but there is no question that what he says certainly reflects the way in which many Hispanics, and others, perceive the Republican Party. I have had enough conversations with hard-core conservatives and Republican Party activists to know that there is an element of truth to what Yglesias is saying. There is a subculture within Republican circles that is nativist, uncompassionate, and arrogant. Many conservatives do live in their own bubble, living and worshiping with people who are just like them in so many ways and have trouble connecting politically with those who don’t. The culture of the Democratic Party is quite different. Polling suggests that the Latino problem for the GOP is deeper than immigration. John McCain got a scant 31 percent of the Latino vote despite a long record of pro-immigration policies. The best evidence available on Hispanic public opinion, a big election even poll from Latino Decisions and ImpreMedia, makes it clear that this is just a fairly liberal voting block. Just 12 percent of Latinos support a cuts-only approach to deficit reduction, and only 25 percent want to repeal Obamacare. Only 31 percent of Hispanics say they’d be more likely to vote for a Republican who supports the DREAM Act. This isn’t to say Latinos aren’t eager to see immigration reform, it’s just that the lion’s share have bigger reasons for rejecting the GOP. This is important to take seriously. It’s not just Latinos and blacks that voted overwhelmingly for Obama. Other racial minorities, such as Asian Americans, did as well. The fact is, while Americans are evenly divided when it comes to Obamacare, most Americans recognized coming into Obama’s presidency that there was a desperate need for health care reform. In addition, most Americans believe it would be acceptable to raise taxes on the wealthy to a certain extent, along with cuts in discretionary spending and even a degree of entitlement reform. But conservatives sometimes simply deride such perspectives. There is a solid block of people who support the Tea Party affiliated Members of Congress who will brook absolutely no compromise with the Democrats on any of these matters. All that said, I don’t think we can separate the issue of immigration from these other issues. For part of the reason why so many conservatives – those most influential in shaping the Republican primary process that drives Republicans to the right on immigration – oppose immigration reform is their inflexible attitude about these other issues. Conservatives expect people to work hard, act responsibly, and obey the law. They worry a lot about the growing demographic of Americans who don’t seem to share their understanding of what it means to be an American, and the idea that someone would enter this country illegally and then expect the same public benefits as anyone else flies in the face of that fear. It’s not that they are opposed to immigration, as they will tell you. They just think it should be done legally. You can’t give amnesty to someone who has broken the law or you will simply encourage him or her to do it again. 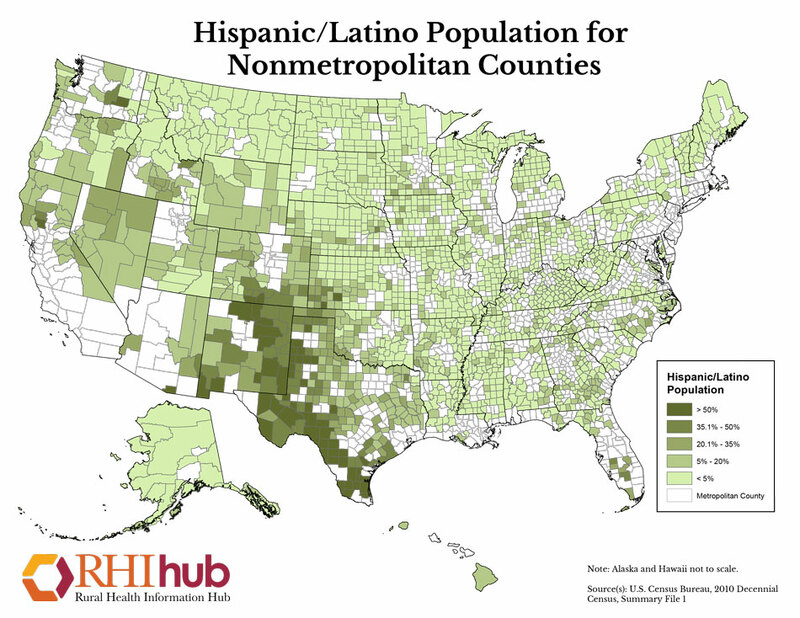 Hispanics in the United States according to the 2010 Census. Territories seized by the United States from Mexico in 1845-1848. My point is not to engage in pointless America trashing, nor is it to question the wisdom, virtue, and hard work on which American prosperity is built. Conservatives rightly point out that we can’t turn back the clock and make these wrongs right. As with the case of reparations to former slaves, it is far better to move on and move forward than to continually haggle over the sins of the past. Clemency is just as important a political virtue as is justice. But then why do so many view illegal immigration so differently? To be sure, there are approximately 15 million people who are currently living in this country illegally. They have broken the law. And yet they now play a vital role in the American economy, performing hard work that many other Americans are not willing to do, contributing far more to this country than they take from it. Many of them have had children here who are now by law American citizens. All of them believe in the American dream, the same American dream that motivated our own ancestors. first, border protection that puts an end to all illegal immigration including the utilization of infrared, satellite and other technologies in addition to increased border patrols. Second, the creation of a market driven guest worker program and facilitative avenues by which millions of families already in America that lack the legal status can earn such status in a manner that reflects the Judeo Christian Value system this nation was founded upon. Third, an earned citizenship element that will enable current undocumented residents without a criminal record to earn citizenship status by going to the back of the line as it pertains to citizenship applicants, admonition of guilt with corresponding financial penalty, acquiring civic and language proficiency all while serving the local community. This is not such an outlandish proposal, and given our nation’s history, conservatives have no right to consider it un-American. As Yglesias points out, immigration reform would not automatically bring Latinos into the Republican camp. But as I suggested yesterday, this isn’t ultimately about electoral politics but about virtuous political engagement. It’s about attitude, a spirit of cooperation, and the willingness to help people solve the problems that concern them most. If you don’t have this, you shouldn’t wonder why, despite your glorious political and economic principles, they wander to the other side.